Table 1. Epidemiological data and M. leprae PCR test of the animals identified in Mato Grosso – Brazil. 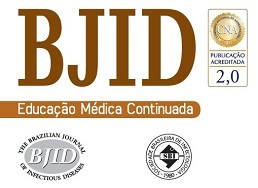 Leprosy, a disease neglected in many countries, is endemic in Brazil. With a wide diversity of fauna distributed in three biomes (Amazon Forest, Cerrado and Pantanal), the state of Mato Grosso (MT) in the Central-West Region has the highest prevalence of human cases: 7.75 per 10,000 inhabitants.1 Despite the scarcity of data in the literature on wild animals naturally infected with Mycobacterium leprae, the possibility of transmission to humans cannot be ruled out. Armadillos, red squirrels, and non-human primates are important natural reservoirs of M. leprae reported in the literature, becoming possible sources of bacillary dissemination making it difficult to interrupt the leprosy transmission chain.2 As data on natural infections are scarce, it is difficult to understand the role of wild animals in transmission of the disease. Therefore, we used PCR to detect the genetic material of M. leprae in nasal swabs of wild animals. Epidemiological data and M. leprae PCR test of the animals identified in Mato Grosso – Brazil. Federal University of Mato Grosso-Cuiaba. Knowledge of the environment surrounding the infected humans or animals, and route of infection and mode of transmission are necessary to understand endemics in certain regions.4 Truman et al.5 described that isolates from human and armadillos are identical genetically. Thus, we suggest that the possible contact of animals of this study, which may be possible carriers of the bacillus, with other animals or with humans can disseminate the disease, the bacillus was detected in nasal swabs. Thus, we observe that the detection in wild animals may be associated with high prevalence and endemicity in the state of MT, which makes them important sources of infection. In addition, these data contribute to a better understanding of the epidemiology of leprosy. The opinions expressed by authors contributing to this journal do not necessarily reflect the opinions of the Centers for Disease Control and Prevention or the institutions with which the authors are affiliated. The authors are grateful to CAPES for financial support through a scholarship. Brasil. Ministério da Saúde. Secretaria de Vigilância em Saúde. Departamento de Vigilância Epidemiológica. Sistema de Informação de Agravos de Notiﬁcação; 2016. C. Avanzi, J. Del-Pozo, A. Benjak, et al. Red squirrels in the British Isles are infected with leprosy bacilli. R.P. Turankar, M. Lavania, M. Singh, U. Sengupta, K.S.R.S. Sai, R.S. Jadhav. Presence of viable Mycobacterium leprae in environmental specimens around houses of leprosy patients. R.W. Truman, S. Pushpendra, R. Sharma, et al. Probable zoonotic leprosy in the southern United States.